Product prices and availability are accurate as of 2019-04-20 17:36:17 BST and are subject to change. Any price and availability information displayed on http://www.amazon.co.uk/ at the time of purchase will apply to the purchase of this product. 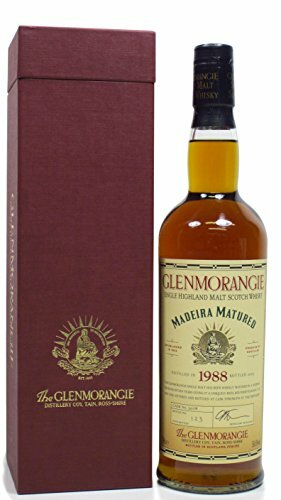 Glenmorangie 1988 Madeira Matured in original presentation box. 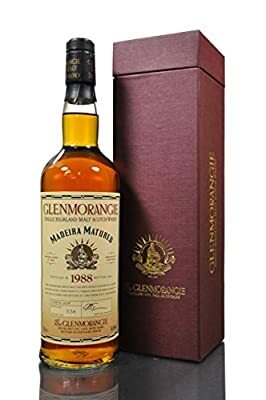 Distilled in 1988 and wholly matured in a Madeira drum for 15 years then bottled in 2003 at 56.6%. This is bottle number 336 of 856. Cask number 3078.